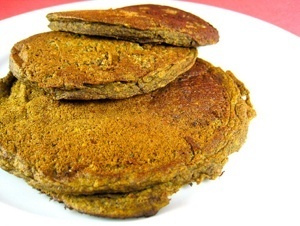 This Vegan Protein Pancake recipe is perfect for breakfast if you really want to make sure you get an adequate dose of protein during the first meal of the day. They utilize your choice of just the right amount of hemp protein powder or soy flour and feature chopped walnuts to further increase the protein ante and add to the flavor department. 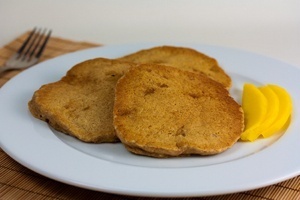 Cinnamon, nutmeg and ginger give these vegan pancakes a satisfying flavor that goes great with a splash of maple syrup (or fresh berries if you're hyperventilating at the idea of consuming too much sugar). In order for your pancakes to cook to perfection, it's essential that your cooking surfaces reach the proper cooking temperature (about 375F or 191C). This will ensure your pancakes don't stick and are cooked through consistently with slight browning but no burning. If your pancakes are sticking it's almost always because your cooking surface isn't hot enough. I recommend turning on the heat under your cooking surfaces as soon as you walk into the kitchen to make your pancakes so everything gets a chance to heat up, un-oiled. Most cast iron griddles, skillets and electric griddles have lots of metal to disperse the heat so they need extra time to reach their proper cooking temperature. In a medium bowl, whisk together the soy milk, golden flax meal, apple cider vinegar and vanilla extract. Let it sit for about 10 minutes so the soy milk curdles. In a large bowl whisk together the whole wheat flour, soy flour, sugar, cinnamon, baking powder, baking soda, salt, nutmeg and ginger. Whisk the vegetable oil into the non-dairy milk and flax meal mixture from Step 1 then whisk the mixture into the large bowl containing the flour mixture and mix until fully incorporated. Stir in the chopped walnuts, if using. Grease a griddle or a large iron skillet with canola oil or a similar heat tolerant oil. If you're using a non-stick surface forego the greasing process. The surface is ready for pancakes when water flicked on it sizzles. Using a ladle, drop about 1/3 cup of batter to form a pancake. When small bubbles appear, flip the pancake with a spatula. A thin steel spatula with a large surface area works well. Let the pancakes cook for at least another 2 minutes on the other side or until golden. Do not press down on pancakes with the spatula. 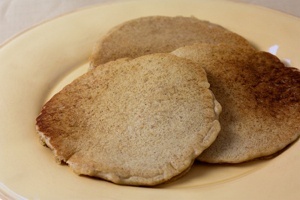 Pancakes keep for up to 5 days in an airtight container in the refrigerator and can be easily heated in a toaster. 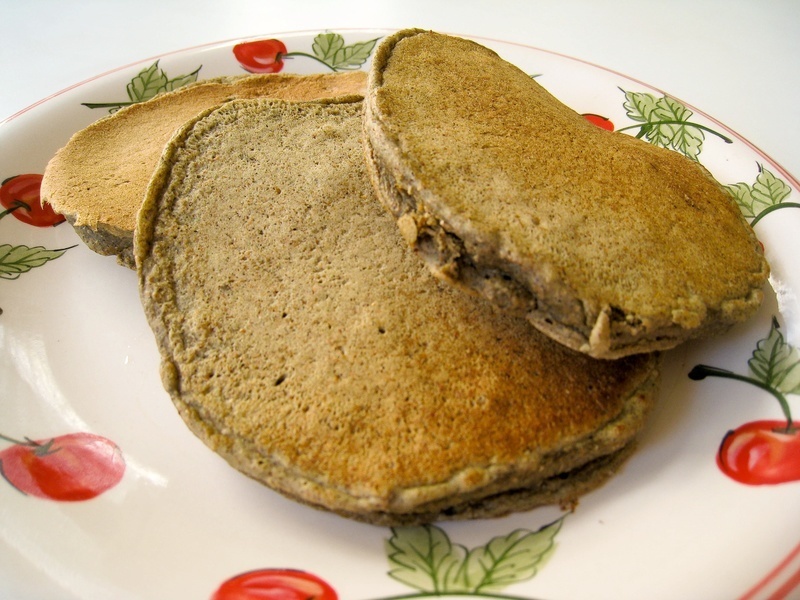 This recipe makes about 12 Vegan Protein Pancakes. Get a price on the Griddle I Recommend at Amazon. I love this recipe! 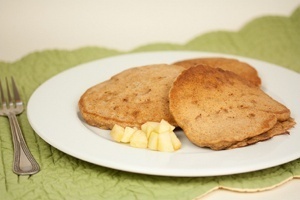 I used Garden of Life Vanilla protein powder the first time I made them, and the pancakes were really good. Today, I also replaced half the oil (I used grapeseed) with pumpkin puree, and they were amazing! Thanks for sharing! Great to know that your low fat version of these pancakes still worked out well kiera42! Thanks for sharing!